Search marketing, search engine optimization and pay per click just isn’t what it used to be. Their maturation of digital marketing has become increasingly integrated into multi-channel strategies and tactics that should be continually optimized for conversion. This competitive marketing landscape requires marketers to utilize multiple channels and platforms such as social, search and content marketing together in order to personalize user experiences that fit within their purchase pattern. Sure, search marketing has become more complex, but the ability to reach customers has also become more effective when done correctly and consistently. If you are not optimistic about search and pay per click for your business, maybe it is time you should be. In fact, a new study shows that nearly 100% of US marketers using PPC this year have either a “Really Good” or “Fair” attitude toward how their pay per click has worked out this year. Only 2% of marketers ranked it as poor. Now if we leave out the “fair” attitude respondents, the numbers get even more interesting. US marketers that ranked their attitude toward pay per click marketing as “really good” was 78%! In any industry, that kind of positive response to something has to be considered beyond successful. Try getting 78% of any group to agree positively on anything, let alone marketing related! There are many kinds of search marketing channels that can be used to advertise online today. Here are a few of the more important channels that the small, local and medium business should be including in their marketing arsenal. Text – Most small or local businesses are familiar with pay per click, but often don’t know the varying types, the most common of which are text ads. Search PPC ads are typically labeled as “Sponsored Ads” located to the right of most search results on search engines such as Google and Bing. A massive 90% of US Brand and Agency Professionals consider this type of search marketing to be important. Additionally, nearly 75% say they plan to increase spending on Google AdWords over the next 12 months, and 60% planned to spend more on Bing ads. Retargeting – Since only about 2% of online shoppers actually purchase on the first visit to an online store, retargeting technology enables you keep track of people who visit your site and displaying your ads to them as they visit other sites across the web later. Without capturing personal identifying information, simple cookies tracks your visitors anonymously, and uses the information to repeatedly keep your brand and product in front of them. Think of it as TV ads that are only displayed to people that you know have shown interest in your product or services. A full 80% of Brands and Marketers consider Retargeting Ads to be important over the next year. Something that should be added to your marketing channels as well. Mobile Ads – Mobile advertising relates to ads that are delivered to mobile devices within smartphone apps or search platforms. This digital marketing channel is seen as one of the fastest growing and biggest future ad opportunities for marketers, as mobile technologies garner an ever-increasing role in consumer internet activity. A substantial 71% of marketers consider mobile ads to be important in their pay per click marketing efforts. Social Network Ads – Social media ads represent one of the newer PPC advertising channels. Larger social networks such as Facebook and Twitter have transitioned to Google-type ad platforms that provide business extreme targeting capabilities that are incredibly effective. Working in conjunction with a digital strategy and active social media presence, brands are seeing significant results with this channel. In fact, 40% of marketers say that social network ads are important to their search/PPC strategy, making it one of the most underutilized opportunities for marketers today. 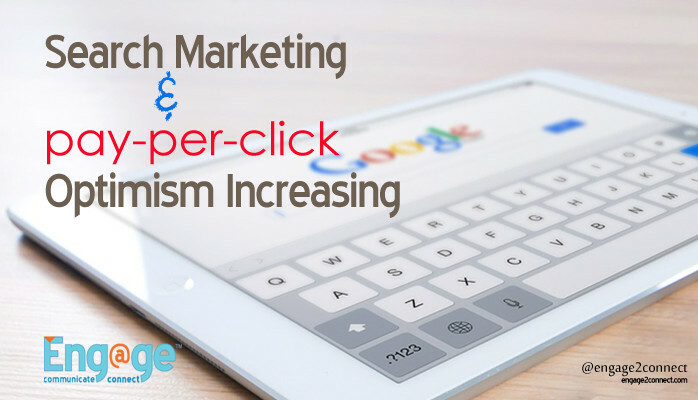 Small and medium businesses need to better understand the growing optimism and capabilities of pay per click marketing and the opportunities they represent for substantial ROI. In fact, 72% of US marketing executives already consider paid search one of their two most effective online channels. Furthermore, half of retail (B2C) marketers can prove ROI from paid search, more than any other digital channel. Though extremely complex, search and paid digital marketing campaigns have become both a leveler and requirement for small brands nationwide.